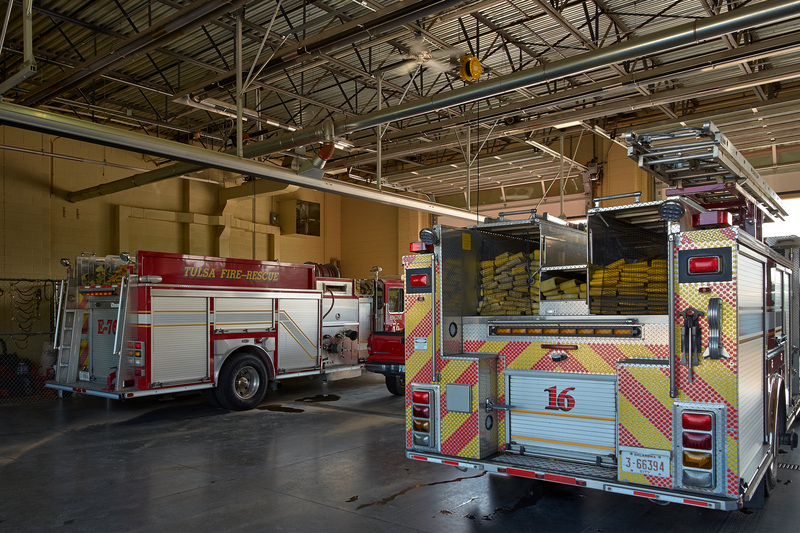 The Tulsa Fire Department responds to over 57,000 incidents annually in a response area that includes 201 square miles and approximately 400,000 citizens. With an authorized strength of 676 members, TFD serves the community through 30 fire stations in five designated districts. 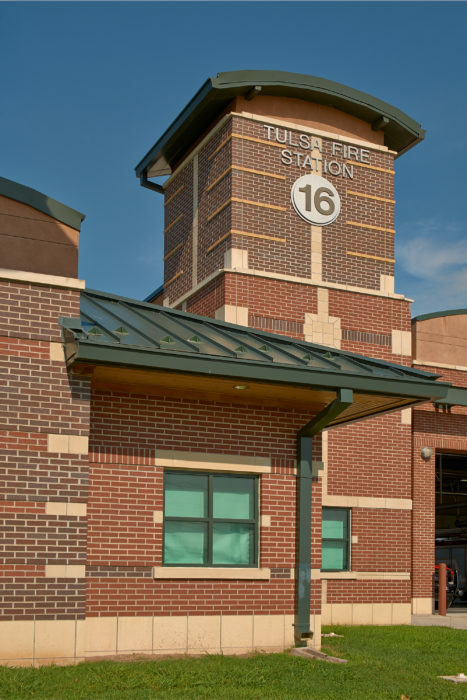 One of Tulsa’s oldest fire stations, built in 1948, was replaced with this modern building that uses the latest concepts in fire station design. 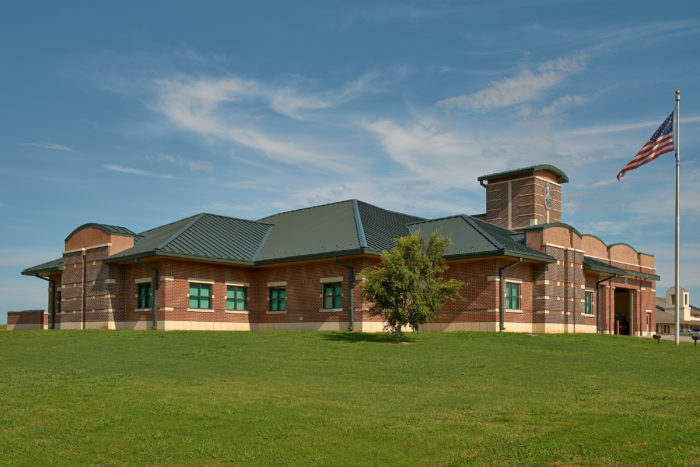 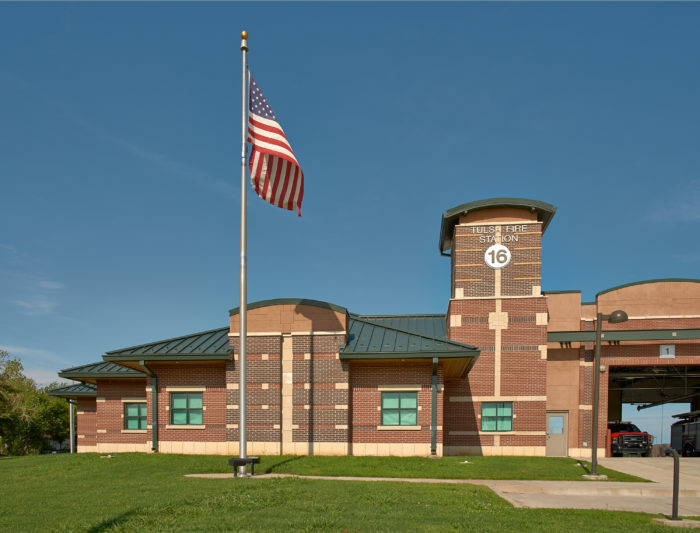 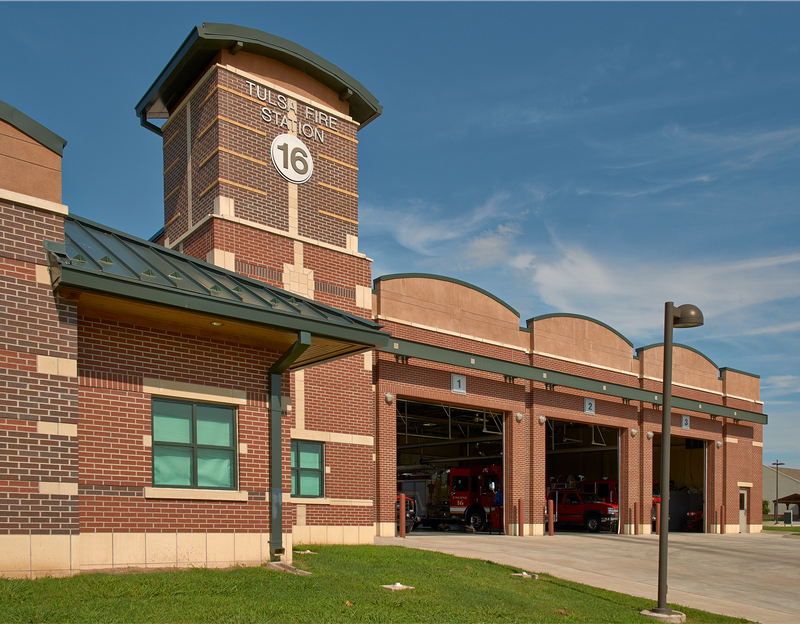 Station 16 includes a cavernous garage, large commons area, kitchen and dozens of additional upgrades. 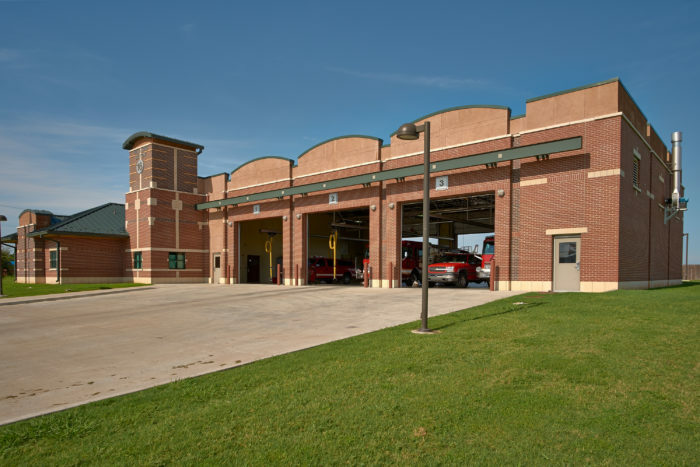 This was the first fire station in Tulsa designed with women firefighters in mind, replacing a dorm-style sleeping area with individual rooms for firefighters.